It has long been a goal of mine to win an A grade criterium. For me, this is a challenging goal to achieve given my limited time to train and prepare for races. Many of my competitors will be ahead of me in terms of training and genetic make-up, so I have to be smart about how I approach this goal. About a year ago I read a book on goal setting which motivated me to listen to a number of podcasts and motivational speakers on how to set and achieve goals. My favourite content so far is from the famous American motivational speaker Zig Ziglar. Zig was big in the 1970s and 1980s and many of today’s high-achievers in sport and business swear by his lessons. Do yourself a favour and listen to this one-hour YouTube clip next time you’re on the indoor trainer. Discovering how high achievers structure their goals has completely changed my view on goal setting. My goals are no longer fleeting ideas or thoughts without substance. Instead they are well thought out, written down, structured and last but not least I must be hungry to achieve them. Using structured goal setting has helped me improve my results on the bike significantly in the last couple of years. 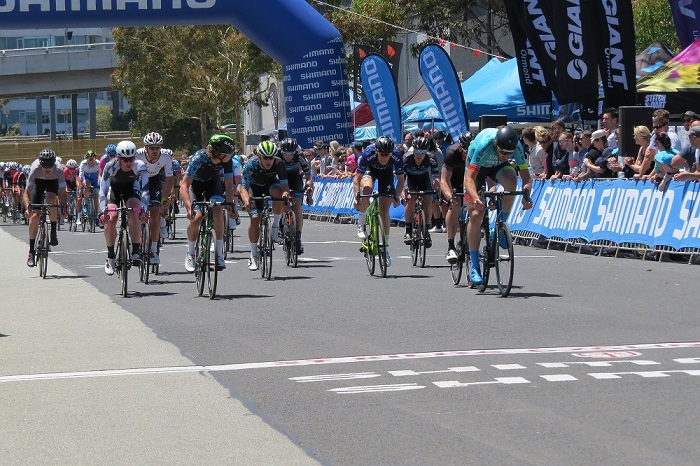 Last season, after studying how to set and achieve goals effectively, I set myself the goal of winning the open B grade of the three-stage Tour of the South West in Warrnambool, Victoria. I put all the necessary steps in place to get myself in the best position to achieve this goal, and while unfortunately I fell short by one place, I’m certain that if I hadn’t written down my goal along with a defined structure on how I was going to achieve it, I would have been at that race just making up the numbers. Read also: How I made it to A grade. The purpose of effective goal setting is basically to create an action plan around the goal so that it goes from being a hopeful desire to being a recipe for success. I have written a separate article which details the seven steps above. 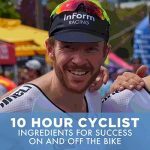 It’s worth a read if you’d like to get better at achieving your goals on the bike and in life. Read also: 7 steps to achieving your goals. After becoming an A grade rider it didn’t take me long to set my eyes on my next goal: winning an A grade criterium. Below is how I approached my goal setting at the beginning of the season, using the above structure. It’s my goal because I want to climb the mountain and know I got to the top. I started in D grade five years ago and I’ve made my way through, with one final (and challenging) hurdle to climb. It’s ultimately a personal validation thing that will feed my inner ego (honesty is the best policy here!). Getting sick from one of the kids. I need the support of my wife to be able to train 6-10 hours per week, including mornings and afternoons on the weekends. I need assistance from a cycling coach to develop a program based on my goals and my availabilities. I need to organise babysitters for when my wife is away on weekends, so I can still follow my training schedule. The required training and how I can fit that into my day. How I should be nourishing my body to optimise recovery. What criterium course I should focus on given my strengths. Understand the intricacies of the course and associated race tactics. Learn about my competition, their strengths and weaknesses. How I can best leverage my strengths to win a race. I am sitting down with a coach shortly to write a training plan. Implement an 80/20 rule for nutrition. The criterium season finishes on the 26th of March 2017. Given my current level of fitness, I won’t be tuned and ready to properly complete until the end of January. From the beginning of February 2017, I will be looking to win every race I attempt. There you go: a structured goal that is thought through and has actions attached to it. While the process of thinking about your goal and engaging with the right people takes some effort, once your plan is clearly defined, your day-to-day activities actually become easier. You know what you’re doing and why you’re doing it, mitigating the typical sporadic behaviours that often lead to disappointing outcomes. Fear is typically the primary emotion holding people back from really going hard at what they want to achieve. When you have a clear blueprint for success, some of this fear will reduce and you can instead spend your mental energy on the challenge ahead. Putting yourself out there and knowing you could fail can be somewhat nerve-wracking, but you’d be surprised by the (self) respect you will gain from at least having a proper crack.